ASK THE LAWYER! is now available as a service to NNYLN members. 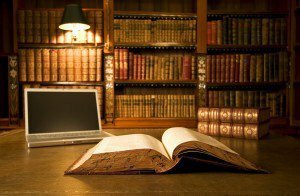 The Northern New York Library Network has acquired the services of an attorney to offer members timely input on intellectual property, digital rights management, vendor contracts, first amendment, civil rights, and other legal issues that can impact library operations. Questions sent to “Ask the Lawyer!” service will be reviewed by NNYLN staff, and sent to counsel for responses. This project is being offered in collaboration with the Western New York Library Resources Council. To submit a inquiry to the NNYLN Ask the Lawyer! service, complete this form. Responses might be in the form of a memo shared with the NNYLN member that inquired, and also may become part of a “Legal RAQ” on the NNYLN and WNYLRC web sites, a training session, or a memo shared only with the inquiring library and the NNYLN and WNYLRC liaison. Please keep in mind: the “Ask the Lawyer!” service is not legal advice to your organization. Always alert officers at your institution if a lawsuit is threatened, or if a matter is so specific or critical that your own institution’s attorney should be involved. And yes–you can always “Ask the Lawyer!,” if you don’t know if a particular issue hits that threshold! Please complete the form and provide as much information as possible on the issue. If you have documentation that would assist the attorney in answering your inquiry, you may upload files at the bottom of the form. Please note that the form cannot be saved and must be completed in one sitting.